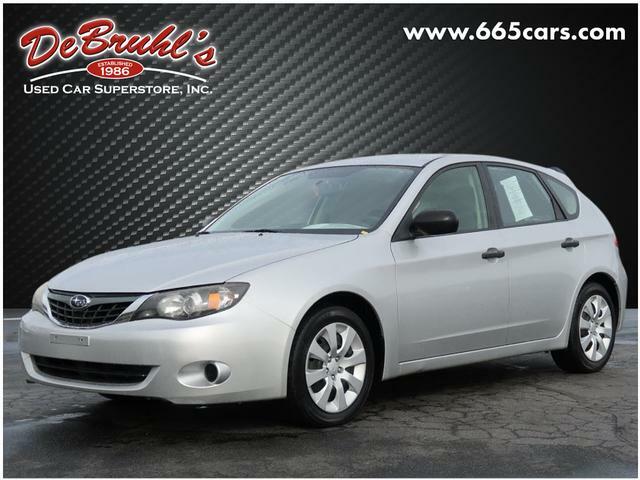 * GREAT DEAL AT $9,950 * * 2008 ** Subaru * * Impreza * * 2.5i * When youre ready to upgrade your ride, opt for this 2008 Subaru Impreza 2.5i, which includes features such as AM/FM radio and CD player, anti-lock brakes, dual airbags, and side air bag system. Flaunting a timeless silver exterior and a carbon black interior, this car is a sight to see from the inside out. You can trust this 4 dr wagon awd because it has a crash test rating of 5 out of 5 stars! Fit all your luggage without having to sacrifice comfort thanks to the fold down rear seat. Dont sit on this decision for long...schedule your test drive today! DeBruhls Used Car Superstore is the largest independent auto dealer in WNC! We offer a full range of financing with our guarantee credit approval, everyone is approved here.